A group of individuals graduated from their Project STIR training on Tuesday at the Shawnee State Lodge. 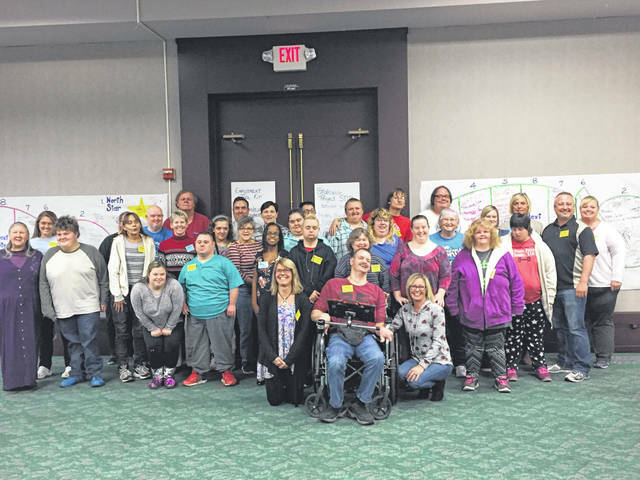 STIR, which stands for Steps Towards Independence and Responsibility is a training session used by the OSDA Council of Ohio Leaders to provide opportunities for people with DD to become leaders in Ohio. Each training opportunity targets 30 individuals with a disability who have family, staff or an ally committed to participate in the training and provide ongoing support to the participant. The training, presented by people with disabilities, provides practical tools necessary for anyone who is interested in being a self-advocate and leader in making choices and decisions about how to live their lives. Charlton says the organization has trained over 1,100 people in Ohio with disabilities since 2010 and 700-800 allies. The training is 18 hours and, fees cover 2 nights in a hotel, most meals and the opportunity to interact and learn with those who come together to support one another.